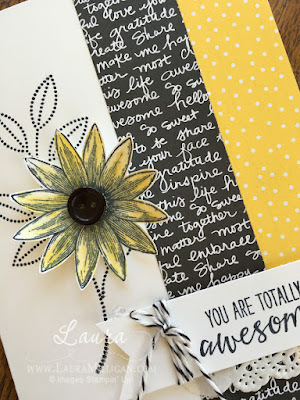 Welcome to this month's blog hop - we are sharing cards with a friendship theme! 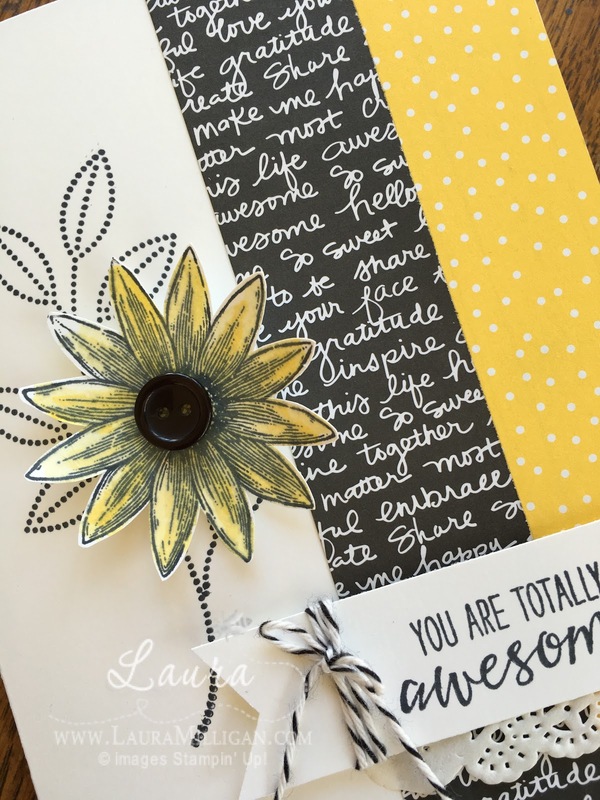 When you are reading this, I will be in Salt Lake City at a Stampin' Up! event - and I will have my hands on our brand new annual catalog!!! Super excited to see what is new! The best part about this card is how quickly it goes together! Simply stamp the stem in black ink on the Whisper White card base, and add the two strips of designer paper along the right edge of the card. Then, stamp the flower (I did "Fussy cut" the flower, but it is quite easy to do!) and add it to the card with a dimensional. 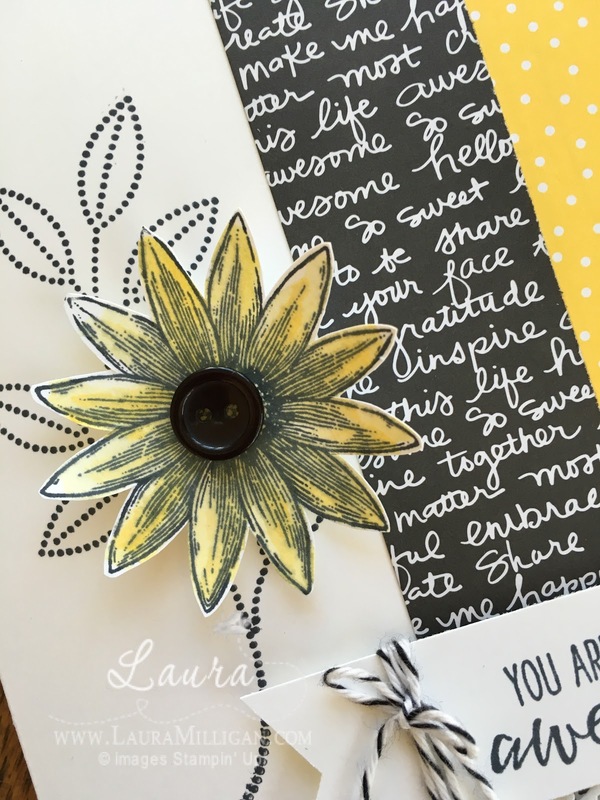 Use a black button for the center of the flower. Create a little banner with a scrap of white cardstock, stamp the greeting, and wrap some black bakers twine along one edge. 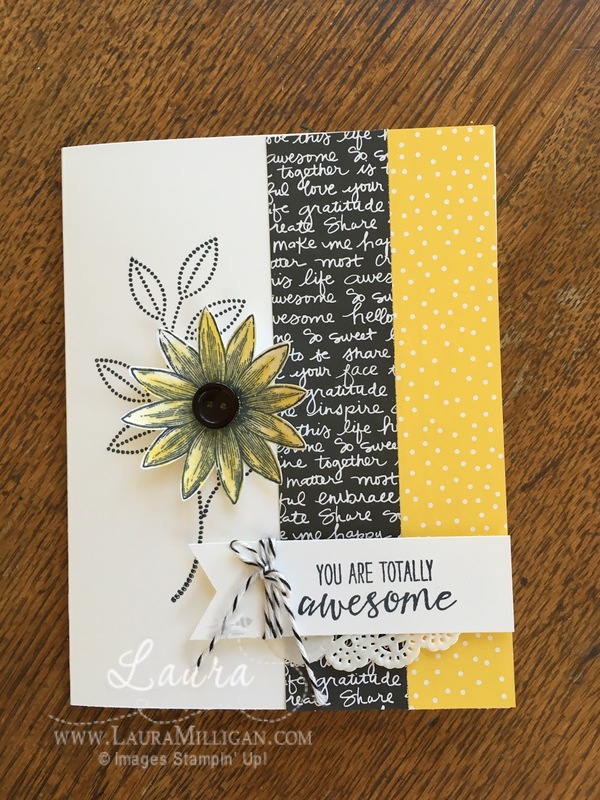 Attach about a fourth of a tea lace doily, and add this entire piece to the card front. That's it! Cute, quick and easy! If you want to hop back, you can see what Frenchie has created this month! Thanks much for hopping with us! !